Another product from us is Soldier Carving. It is made of 100% teak wood and richly carved to have the soldier shape and look. Soldier Carving is very beautiful for your space ornament, room decoration, and another indoor – outdoor decoration. So that you can decorate your house and room with our unique product. 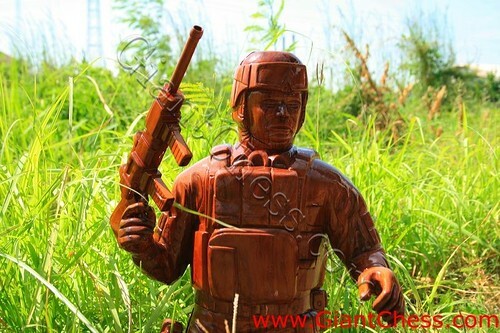 Here we have wood carving product that designed in soldier form. It is very excellent product for decorating your living room table or your children room.